Everyone knows college is expensive, but here is what makes it worse: the many hidden costs including meal plans, supplies, textbooks, and especially parking and transportation. 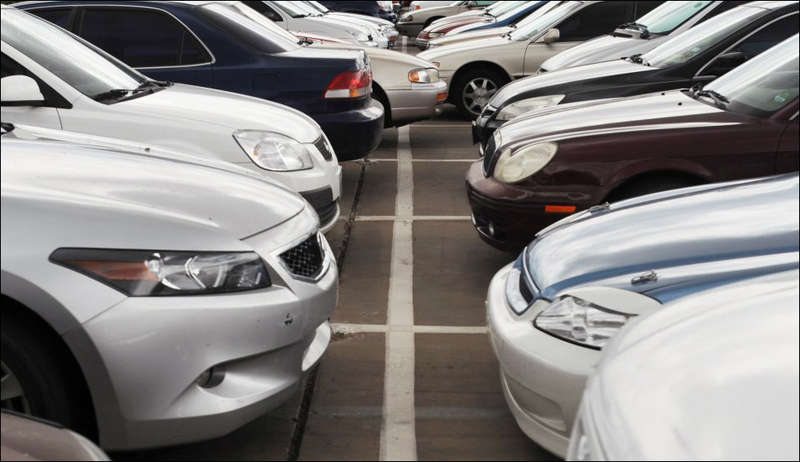 Campus parking permits in the U.S. range in price from $40 to $2,500 per year. While NMSU’s highest-priced permit comes in at $500 for an annually reserved spot, a commuter or residence hall parking pass is only $67, making it one of the cheapest university parking permits in the region. The University of New Mexico’s parking permits range from $175 to $499 per year, while parking permits at the University of Texas at El Paso range from $138 to $319 per year. The University of Arizona parking permits are among the most expensive in the region with prices starting at $100 for a park-and-ride parking lot permit and surpassing $1,300 per year for reserved parking. 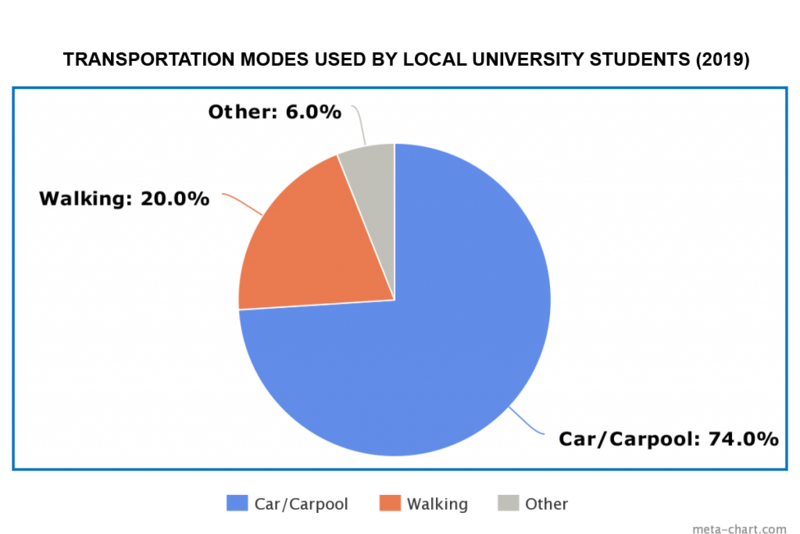 A poll of 35 students from college campuses across the region shows that 74 percent of students prefer to drive or carpool to campus. While walking and other forms of transportation like bikes, skateboards and scooters also exist on college campuses, they aren’t nearly as popular. These alternative modes of transportation also do not take up nearly as much space as automobiles. New Mexico State University has multiple parking lots across campus, but this still doesn’t necessarily allow for easy parking. Some parking lots are so far out of the way, a shuttle or secondary form of transportation is needed to actually get to and from class. The closer parking lots fill up quickly enough that even looking for a spot can be headache inducing. Evelyn Loya, an NMSU sophomore, says the only time she is able to successfully find a parking spot is by arriving at 7:30 or 8 a.m.
It’s not that NMSU has a lack of parking, but rather a poor parking setup. With an overabundance of faculty parking and free lots that are more of a hassle to walk to and from, it makes parking on NMSU’s campus problematic for many students. One possible solution would be to construct parking garages. NMSU currently doesn’t have any parking garages. However, in an effort to save money and reduce their carbon footprints, many universities are opting not to add any more parking spaces. According to an article that appeared in the New York Times, adding parking garages or additional spaces can cost as much as $20,000–$30,000 per parking space. Moreover, while adding garages would create more parking spots on campus, it is very possible that prices for permits would rise as well because of the costs associated with building new parking facilities. For some NMSU students, having to park very far from classes raises safety concerns. NMSU sophomore Jacqueline Lira feels that the university should be “more considerate” of students who use free parking. “You have kids that, like, maybe don’t get out of class ‘til it’s, like, late at night, and … they’ve got to make that walk,” Lira said. There are eight free parking lots on the outskirts of campus. There are Aggie Transit stops near most of these lots. One of the newest eco-friendly transportation methods that has recently surfaced on the NMSU campus is the use of Spin electric scooters. According to WTOP-FM, Spin scooters are currently only found in nine cities and on five college campuses nationwide. Users are able to download the Spin app, locate an available scooter and ride it around campus for $1 per ride, plus a 15-cent-per-minute surcharge. A recent study conducted by an independent research team at RethinkX found that “95 percent of U.S. passenger miles traveled will be served by on-demand, autonomous electric vehicles owned by fleets, not individuals” by the year 2030. This is yet another reason university administrators are hesitant to invest large amounts of money in additional parking spaces.